Look out guys! 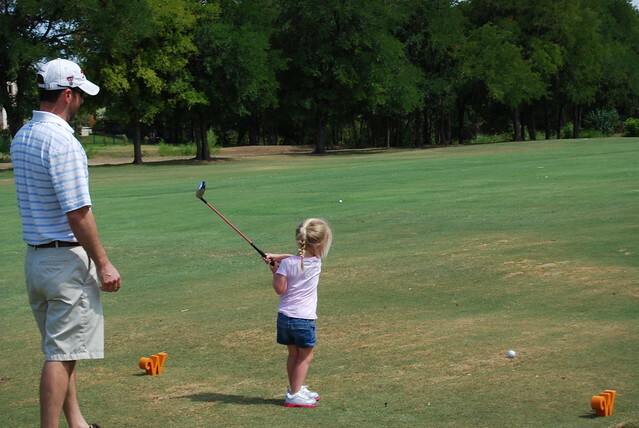 We have a golfer in the making. 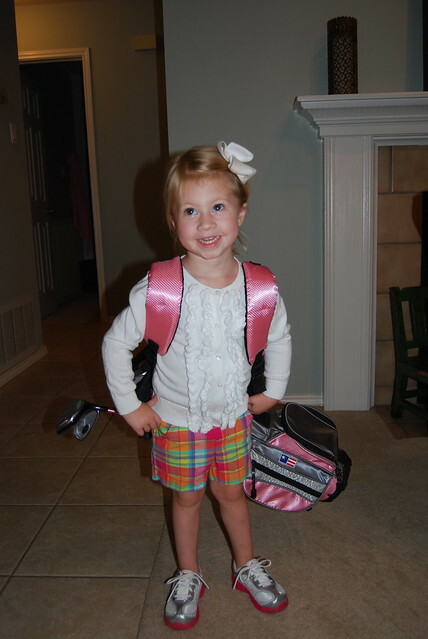 My dad got Ella her very own golf clubs a few months ago and she played in her first tournament this weekend. 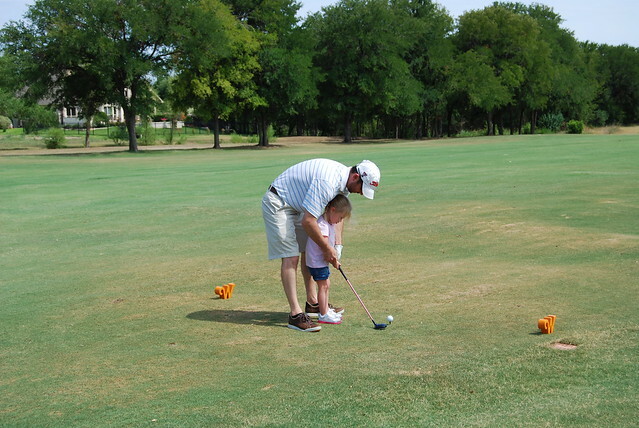 (well 1/4 of it at least) It was a family golf tournament that Bob and Ella played in, every other shot they alternated. Good thing Bob has a pretty good swing or they might still be playing. 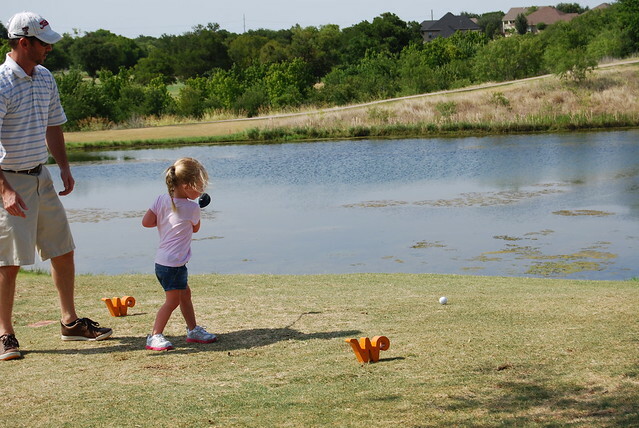 Sometimes Ella would miss the ball in her initial swing but hit it while her club was coming back down so the ball would go backwards. 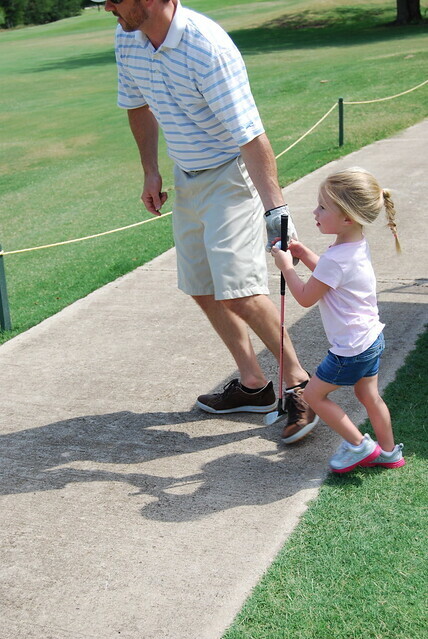 Kenna and I had fun watching from the cart. how cute is that?!? ahhh i miss you guys like crazy. your family is precious. I love it!!! Way to go Ella! I am so proud of you! Poppa can't wait to play with you. To say I am jealous would be underselling it. mckennas face in the last pic cracks me up!! she is so cute!! this whole post is so freakin cute!! Darling!!! 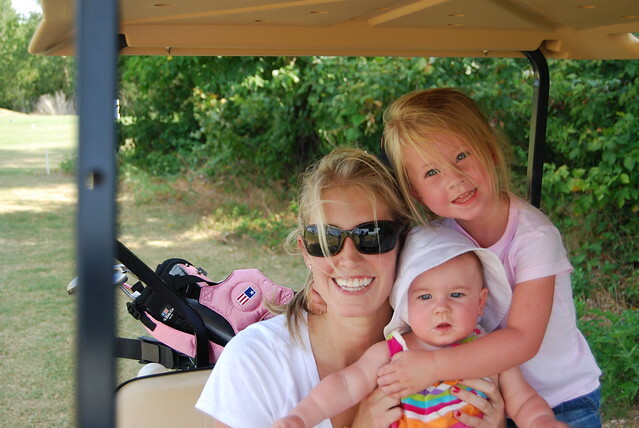 My husband plays golf. I took lessons before I had Masyn (up until my pregnant belly got too big to swing!) The guy from the country club gave Masyn a putter & a driver about a year ago & we ended up with a broken tv while we were on our date night :/ I don't even know where they are now- I wish there was a cute little tournament like that for LT & May to play in here in OK. This post is just darling!!! SOOOOOO stinkin cute. 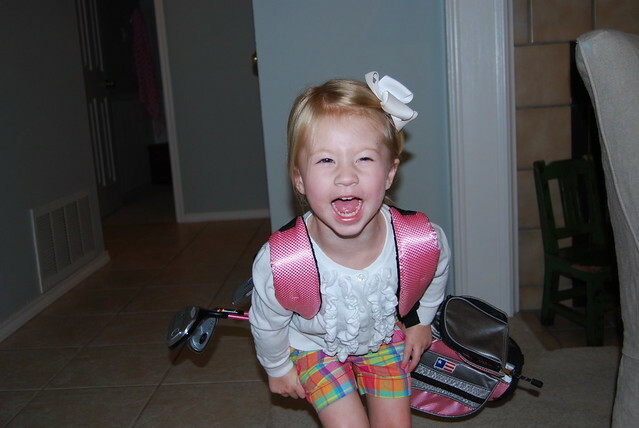 Loving her pink golf clubs. 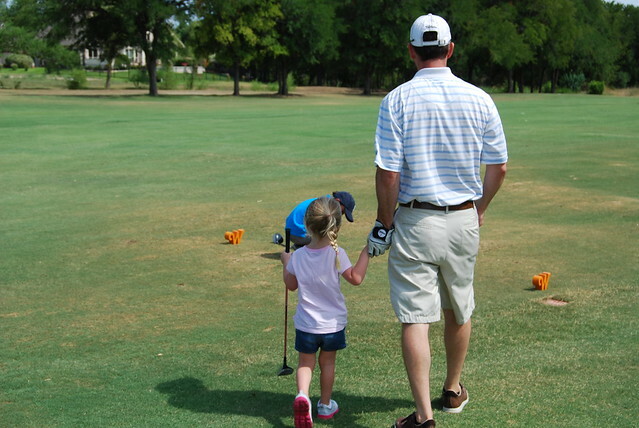 Loving the daddy/kiddo tournament. 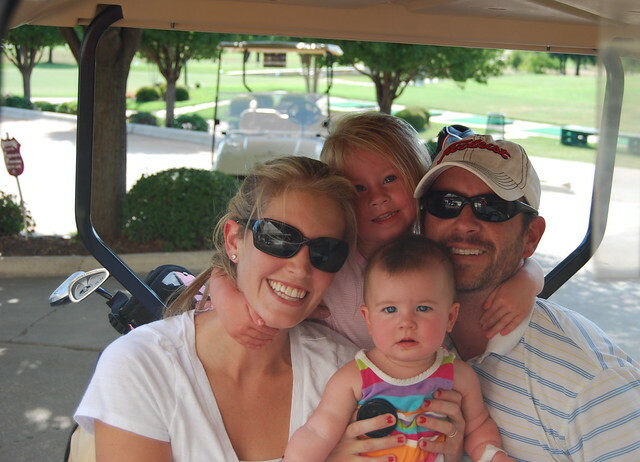 Your family is too cute for words! !